Nothing could be more depressing for parents than to see their child struggling with routine activities and at school as compared to his other mates. Usually there exists some underlying physical and mental conditions and problems such as ADHD, Dyslexia, ADD, Autism Spectrum, Dyscalculia etc., however these issues should be professionally evaluated and treated. There are several medical centers offering speech therapy in Dubai. If you have watched the movie “The King’s Speech” then you will know the benefits of speech therapy. We have assembled a rundown of particular facilities here in Dubai to help you and your child/teenager overcoming their emotional or learning challenges, if they experience any of such effects. Below are top 5 places for Speech Therapy in Dubai. Dubai Community Health Centre offers support services for patients who suffer from learning and development challenges; sufferers of grief and loss, post-traumatic stress disorder, anxiety & stress disorders, etc. It manages a highly qualified group of expert therapist, neurologists, psychologist and psychiatrist who offer the best of their assistance and skills to support you. The community center also runs a school for children with special needs, proposing Language & Speech Therapy in Dubai, Occupational, Psychology, Physiotherapy and Autism Unit. The Dubai Community Health Centre is located at Level 1 of Faisal Al-Gurg building- near Al Nasr Club roundabout near Rashid Hospital, American Hospital and Dubai Healthcare City – Oud Metha, Dubai. The Kids First Medical Centre is a great solution to parents and help with challenging children. It offers the an extensive range of support which include Learning difficulties, Psychology, Behavior Issues, Occupational Therapy, Physical Therapy & Speech Therapy in Dubai. The facility, particularly targets the kids’ audience and their panel of experts facilitate the client at a one-on-one level. The Kids First Medical Centre provides world-class services to challenged and impaired children in collaboration with parents and their highly skilled teachers, therapist and medical experts. Child Early Intervention Medical Center offers a wide array of support services to children and parent in Dubai, including Speech & Language Therapy, Drama Therapy & Social Skills, Sensory Integration Therapy, Occupational Therapy, Feeding Clinic, Physical Therapy, ABA Services and Vision Therapy. The center is dedicated to provide first class services and has a certified highly skilled panel of experts. The Child Early Intervention Medical Center is located at Building # 64, Al-Razi building, Block B, Street # 15, Oud Metha Road – Dubai. The Rashid Pediatric Therapy Center is another great place to help your child with learning and emotional challenges in Dubai. It has a remarkable panel of specialist and medical experts. The center has a pool of highly qualified specialist who assist children with learning disabilities by means of Speech therapy, Physiotherapy and Occupational Therapy. The Rashid Pediatric Therapy Center is situated on Sheikh Zayed Road – Dubai. Al-Noor School & Therapy Center is one of the finest schools and therapy center that offers individualized programs to meet special individual needs of your child. It offers the safe environment and holistic development that are constructive for exploration, development and optimal learning. Its spectrum of services includes Occupational, Autism Unit, Psychology, Physiotherapy, Langauge & Speech Therapy in Dubai. The Al-Noor School & Therapy center is located in Al Barsha 1 – Dubai. 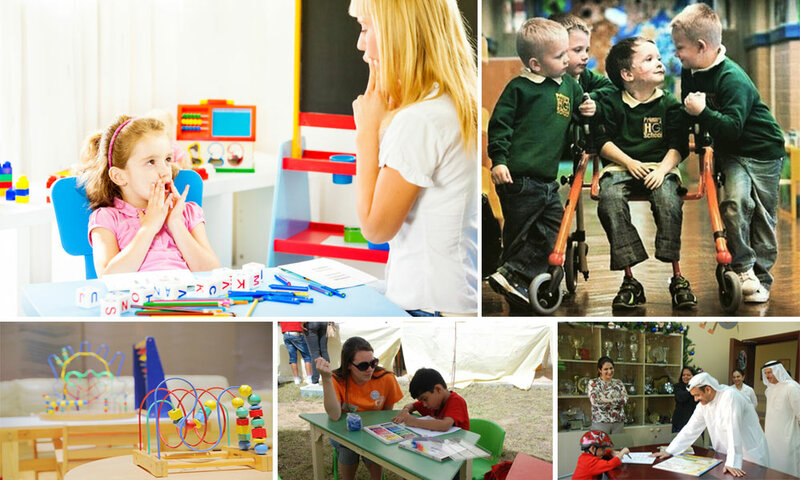 These are some of the recommended places to for speech therapy in Dubai. If you want to recommend a speech therapy institution in Dubai or would like to share your experience, please do so by adding comments below.